Gallons must be ordered 48 hours in advance. Cream of Crab TO DIE FOR! We slowly blend milk, cream, and butter together with a secret stock, a touch of sherry, and a generous amount of fresh hand-picked jumbo lump crabmeat. 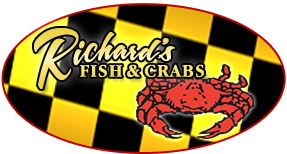 An old Southern Maryland recipe, which includes pork/beef stock, mixed vegetables, a special blend of spices and fresh hand-picked crabmeat simmered to blend all the flavors together for a rich Maryland favorite. Six to eight local Maryland oysters made to order in a delicious stew. A creamy, buttery, seasonal treat!